Lagos State Governor, Mr Akinwunmi Ambode, believes it is only by embracing peace, unity and fairness that Nigerians can begin a rebirth. He stated this in his Eid-el-Fitri message to the people issued on Thursday by his Chief Press Secretary, Mr Habib Aruna. Governor Ambode urged Nigerians to imbibe the tenets of tolerance and unity for one another, irrespective of their ethnic and religious differences, as a pathway of building a strong and united nation. He also asked them to imbibe the tenets of love, tolerance, forgiveness and brotherhood which the period of the holy month exemplifies. According to the governor, with brotherly love and harmonious co-existence among her citizens above all other things, Nigeria can overcome the numerous challenges confronting her. He observed that the nation has witnessed an appreciable level of development in the last three years, despite the seeming economic challenges, while more can be achieved if all hands are on deck. “As we celebrate this auspicious occasion of the end of the holy month of Ramadan, therefore, let us renew our faith in our nation and implore the Almighty God to restore to us those values that place high premium on human life, love for our country, love for our neighbour and sharing, even as we ventilate our faith in the unity of our dear country and the possibility of her taking her proper place in the comity of nations,” Ambode said. He stressed further that the spirit of Eid-el-Fitri resonates around the virtues of love and respect not just for God, but also for fellow humans. Governor Ambode maintained that it is only in the spirit of brotherly love and dedication to national service that Nigerians can build the desired nation. 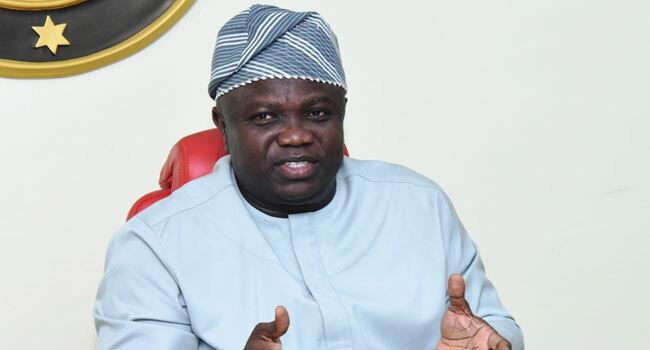 He also thanked Lagos residents for their continued harmonious and peaceful co-existence in the midst of diverse ethnic origin and religious affiliation. The governor wished all Muslim brothers and sisters in the state and across the country a happy Eid-el-Fitr celebration.